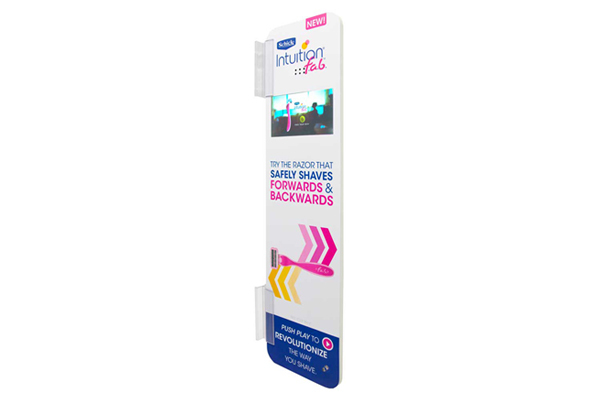 When you’re launching a new product that will revolutionize your industry, how can you effectively communicate that to busy shoppers? 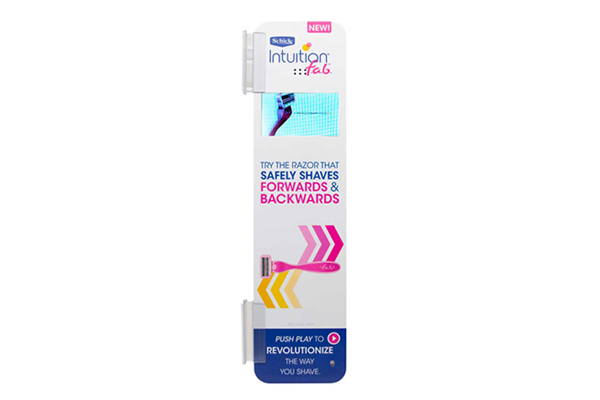 Americhip partnered with Schick to support the launch of its Intuition f.a.b. new ladies razor, the first razor that safely shaves in both directions--up and down. 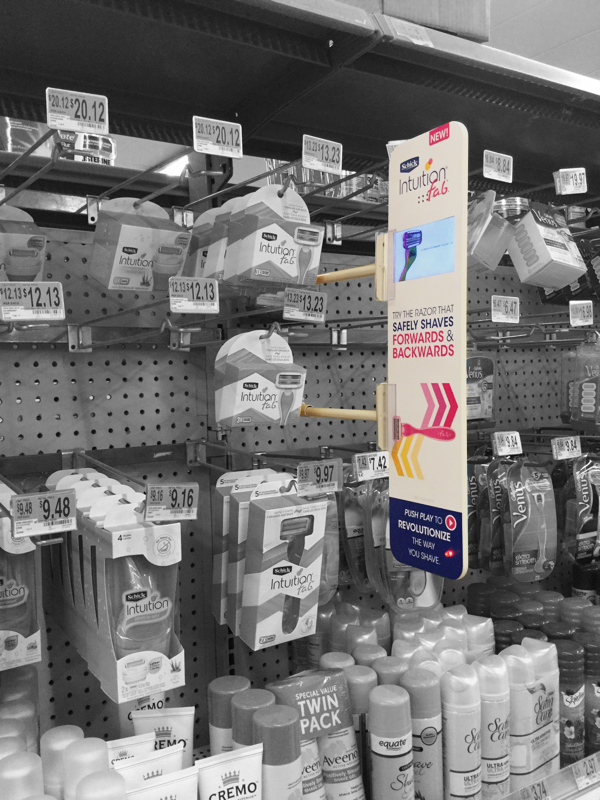 Americhip designed and produced a specialty Video Blade for a nationwide Walmart deployment that utilized our custom telescoping brackets to mount to the pegboard on the shelf backer and extended 18” high—a large digital billboard that shoppers cannot miss as they walk down the aisle. The Blade plays a short video clearly demonstrating the unique ability to work in either direction. Put Americhip’s patented Video Blade line to work to help educate your consumers about your product’s key features and benefits.